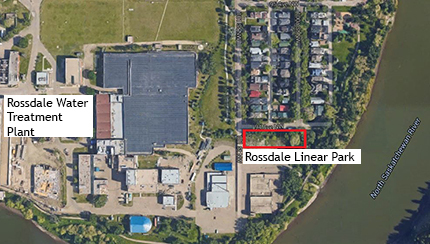 Rossdale Linear Park, on the corner of 94 Avenue and 101 Street, will be undergoing revitalization in spring 2017. The Rossdale Linear Park is located on the corner of 94 Avenue and 101 Street, and is classified as a pocket park in the City's Urban Parks Management Plan. Revitalization of the park may include the addition of trees, furniture, gathering spaces, trails, and other uses that are permitted in pocket parks. Through public input gathered in 2016, the City of Edmonton is looking to find which of these elements should be included in the park, and how they can be incorporated to best meet the needs of the neighbourhood. The park will undergo revitalization in spring 2017. The objective of this project is to meet the neighbourhood’s needs while creating a space that will ensure the health, safety, and enjoyment of the public, and leave a lasting legacy. Guides the acquisition, development, maintenance, preservation and use of parkland. Find out about events, programs and services in the Rossdale neighbourhood.